25 Jan 2014. 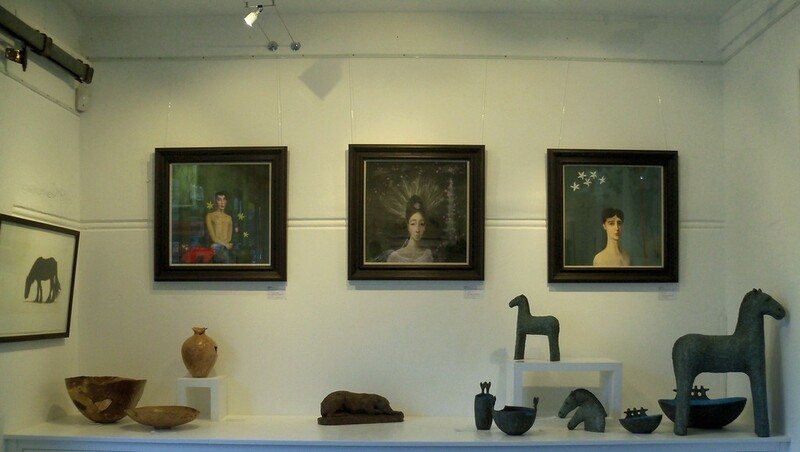 Sussex Artbeat visited the private view at Cameron Contemporary Art in Hove. 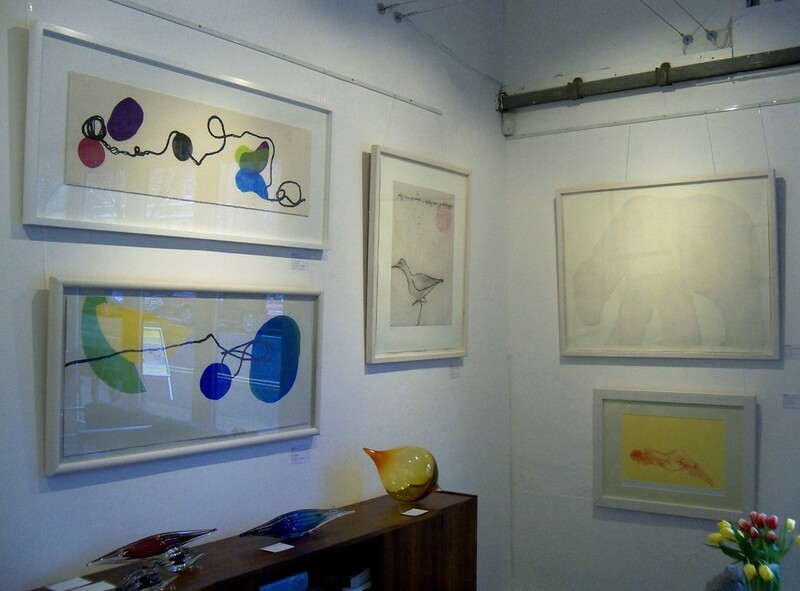 We review the new show of limited edition prints, set among sculpture and 3D work. 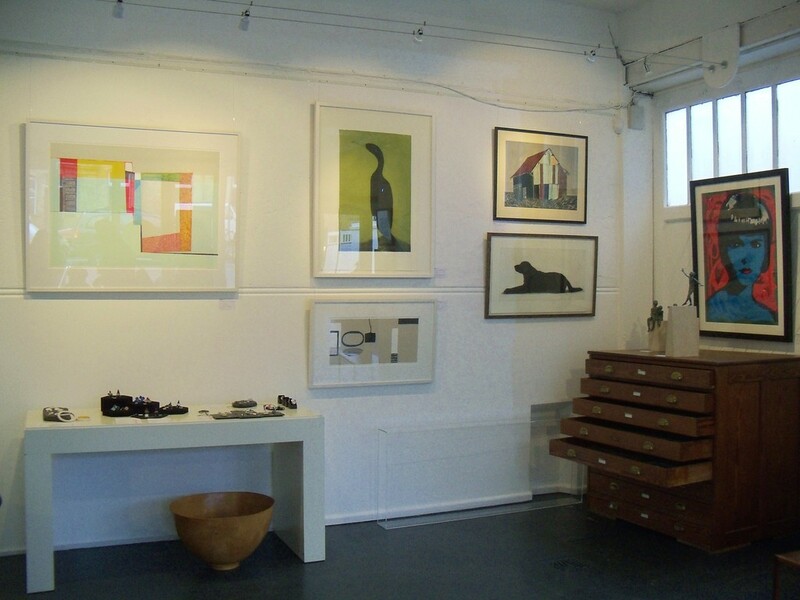 Artists included: Sarah Arnett, Sarah Bowman, Kate Boxer, Helen Fay, Hetty Haxworth, Ed Kluz, Kevin Low. 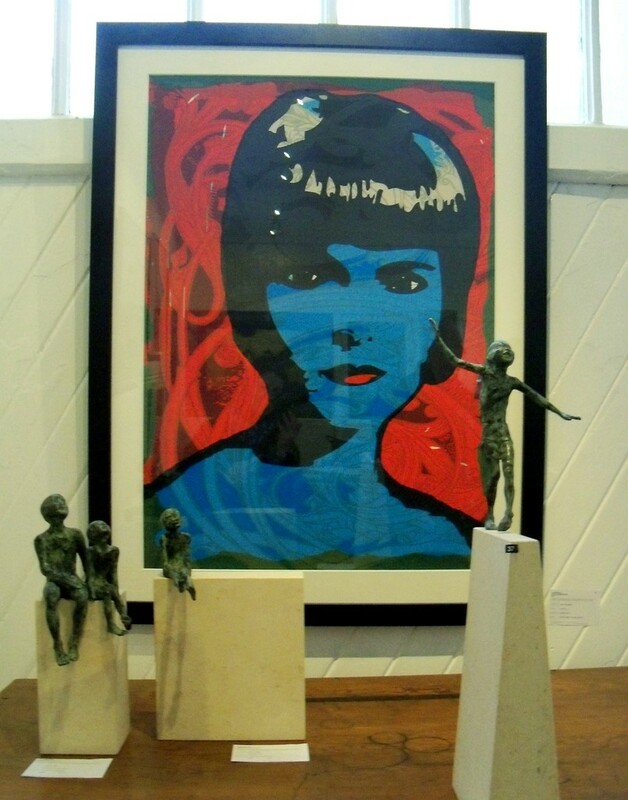 Brighton and Hove galleries often celebrate “Street Art” – after all, its the home of Banksy – so it’s refreshing to see some figurative painting on show in the form of Kevin Low’s portraits (see below). Figurative painting of portrait has a high profile in galleries since the turn of the century, lead by talent such as Lucian Freud and Luc Tuymans. Some say Pop Art kept figuration alive during the days when abstract was supreme, and we see this reflected in the pop art influenced prints of Jane Sampson. 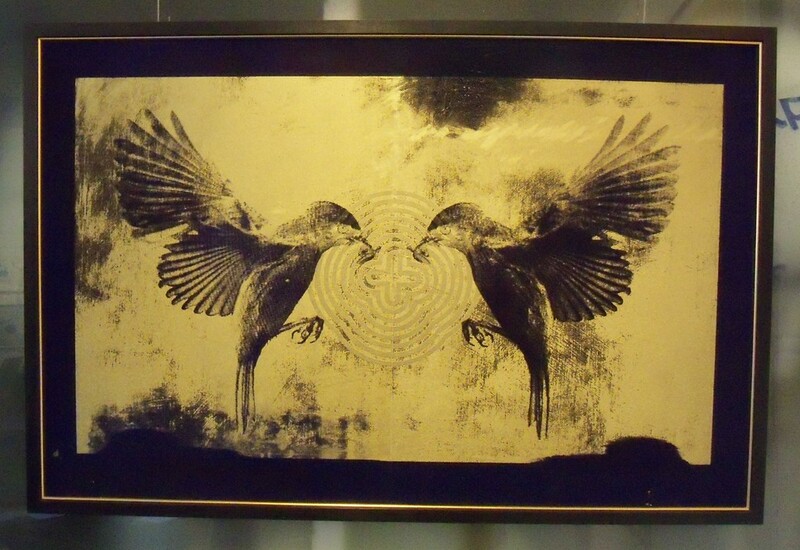 We loved her black and gold, flighty and witty Rauschenbirds (pictured below). Sarah Arnet’s Little Trout are lovely studies which combine representational painting with an abstract approach to form and colour . The 3D works are delightful, and often combine form and function. 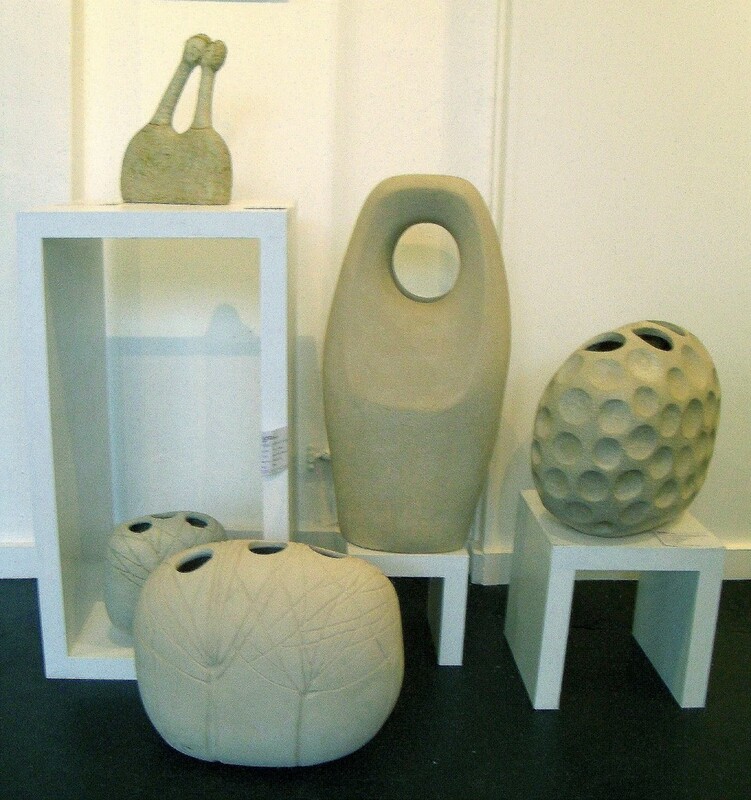 Alison Bell’s clay capture the spirit of movement in clay. 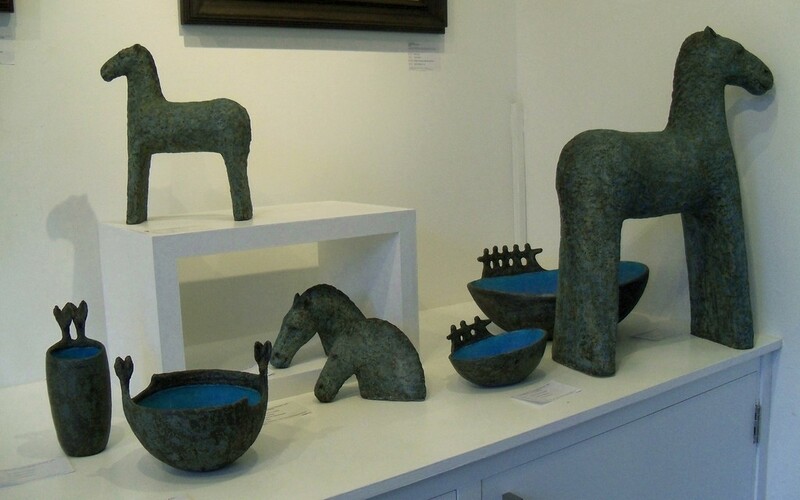 Lilia Umana Clarke and Julie Nelson’s ceramic work straddle form and function, the former with horses and bowls, and the latter in abstract forms that could double as vases. Mike Dean’s wooden carvings also blur the line between art and craft. 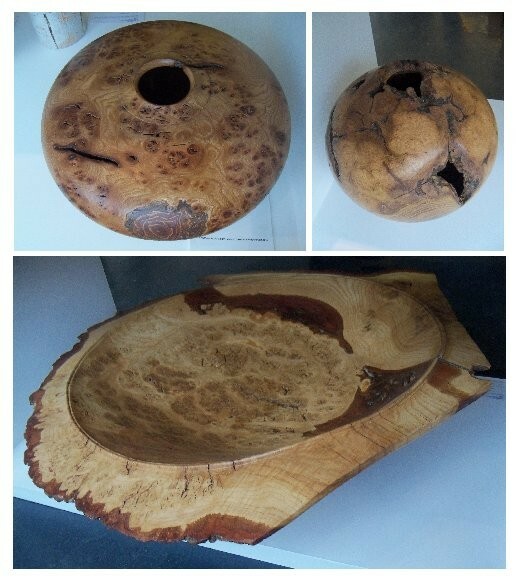 A magnificent burr oak bowl could be fixed to the wall for its marvellous grain and colour, or used to hold fruit (pics below). 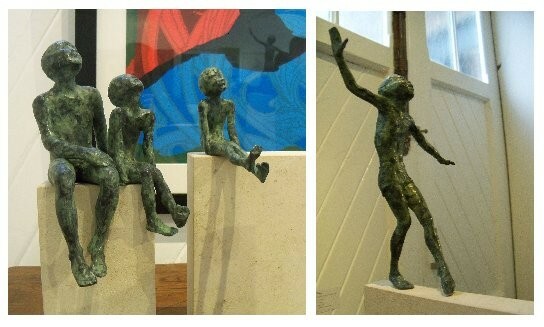 This entry was posted on January 25, 2014 by braveadmin in Brighton, Cameron Contemporary Art, Hove, News Views and tagged art, brighton, Ed Kluz, Helen Fay, Hetty Haxworth, Hove, Kate Boxer, Kevin Low, Sarah Arnett, Sarah Bowman.